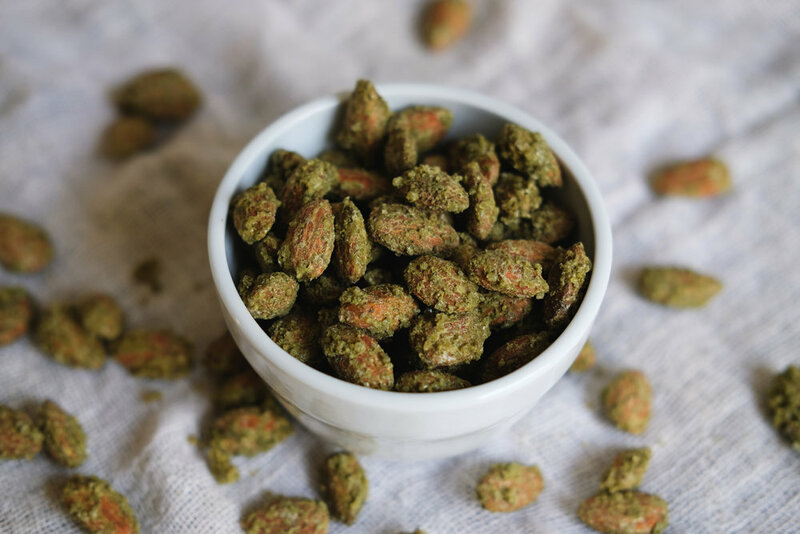 Simply the perfect match of yummy and healthy, premium almonds are lightly sweetened, rolled in 100% Pure Japanese matcha powder, and baked together until they reveal the golden brown and earthy green colours. Delicious and addictive, this is the ultimate snack that you can enjoy anytime, anywhere! Almond coated in matcha: heavenly combination! Fresh from the oven on every order!